2+1 setup; FCS Fusion boxes and center fin box, all fins included. 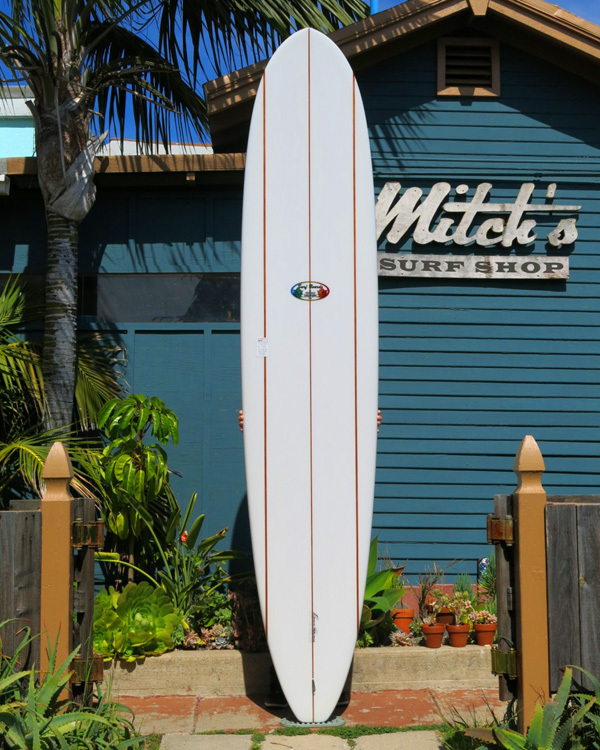 Length: 9' 2" Width: 22 1/4" Thick: 2 5/8""
Nose: 17 1/2" Tail: 13 7/8"
Donald’s tri-fin model is a high performance progressive longboard. This is a down the line, straight off the bottom, straight off the top with speed to spare shape. The hard down rails, extra rocker and squash tail make this Donald’s most innovative longboard yet. Hand finished and glassed polyurethane foam.